CABARETE, Dominican Republic—The 21st annual Dominican Republic Jazz finished off with a bang in this beach town on November 5. The final concert was—where else?—on Cabarete’s wide yellow-sand beach. Known as one of the best kite-surfing beaches in the world and thronged by American and European tourists in the winter, Cabarete has a fascinating history. 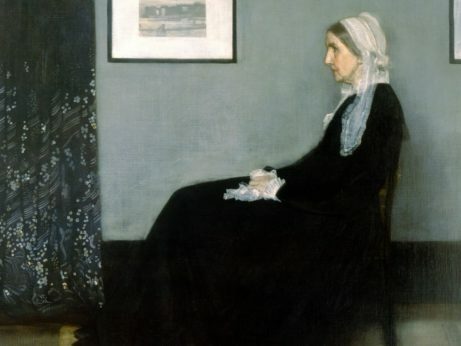 Many of our readers will be familiar with the painting Whistler’s Mother. James McNeil Whistler’s mother’s mother—his maternal grandmother—was the sister of the founder of Cabarete, Zephaniah Kingsley, Jr. Kingsley was a Florida slave owner at the turn of the 19th century. At that time, Florida was still a Spanish colony. Kingsley had several children with some of his female slaves. Under Spanish law, it was legal for a slave master to will his property to his children of any race, including children he had sired with slave women. When Florida was sold by Spain to the United States in 1821 (for $5 million), the more racist laws of the United States applied, i.e., inheritance of property by African Americans was strictly prohibited. Kingsley, frustrated in his attempts to change Florida law to accommodate his children, purchased land in what was then Haiti. Most people, if they had to guess, would think that the Dominican Republic won its independence from Spain. Yes, it did—the second time it won independence. But that’s a longer story for another time. The first Dominican independence was not from Spain, but from Haiti. The Haitian Revolution, the first revolution to end slavery, annexed the eastern half of the island of Hispaniola in 1822 with the support of many, but not all, Dominicans. Thus, at the time that Kingsley was looking to establish property that he could leave to his sons, what is now the Dominican Republic was part of Haiti. Kingsley, although a slaveholder himself, admired Haiti and what it had done to liberate its people of African blood. He sent his sons to establish a plantation in what today is Cabarete. He freed 52 of his slaves and sent them with his sons and one of his wives to work on the estate as free laborers. The final concert on Cabarete beach, dedicated to Puerto Rico, opened with saxophonist Marco Pignataro and his Almas Antiguas Quartet. 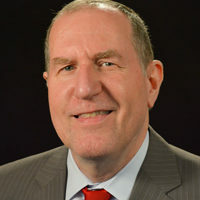 Managing director of the Berklee Global Jazz Institute, Pignataro has played a tremendous role in building the Dominican Republic Jazz Festival and advancing the curriculum of FEDUJAZZ which gives free music lessons to the children of Cabarete. He spends a great deal of time here, serving as the artistic director of the Jazz Festival and giving Dominican students hands-on jazz workshops. Part of Pignataro’s quartet was tenor saxophonist George Garzone, so part of the joy of watching this opening act was to see the two interact musically. “Xalapa” is a song that Pignataro wrote in dedication to the locale of another jazz festival that he attends regularly in Mexico. “Calle Mayagüez” recalled his time as the Director of Jazz and Caribbean Music at the Puerto Rican Conservatory of Music. Next up was renowned Afro-Rican jazz artist William Cepeda. Trombonist, and conch-shell player extraordinaire, Cepeda mixes world music and jazz with traditional Puerto Rican salsa and folk music. Cepeda had the audience on the beach dancing almost immediately with his songs “Next Plena,” “Jibatónico,” “Cumbablues” and “Waiting for Carmen.” The Spanish speakers sang along for his finale, “Puerto Rico se levanta” (Puerto Rico will rise again), for which he brought up to the stage two young saxophonists from FEDUJAZZ to accompany him and play solos. The night’s closing act came on stage around midnight and had to be seen and heard to be believed. The Jazz Festival each year tries to reach out to the local crowd, which loves its merengue. Now picture a 73-year-old Beyoncé, with the same clothes and the same dance moves. That’s Dominican merengue artist Fefita la Grande, except she’s also simultaneously playing the accordion. I was seated down front, but the seats around me quickly disappeared. It wasn’t the Festival organizers stacking them up. It was the crowd surging towards Fefita and clearing the seats for dance room. Within a minute of her appearance on stage, hundreds of Dominicans were dancing all around me. As the expression goes, when in Cabarete—dance merengue. Laurent Ross is a professor of philosophy and mathematics at the Technological University of Santiago in the Dominican Republic.